Crown Princess is a jewel among cruise ships! This amazing vessel has its own Crown Plaza, a unique atrium with restaurants and meeting place where you can get to know the other passengers! 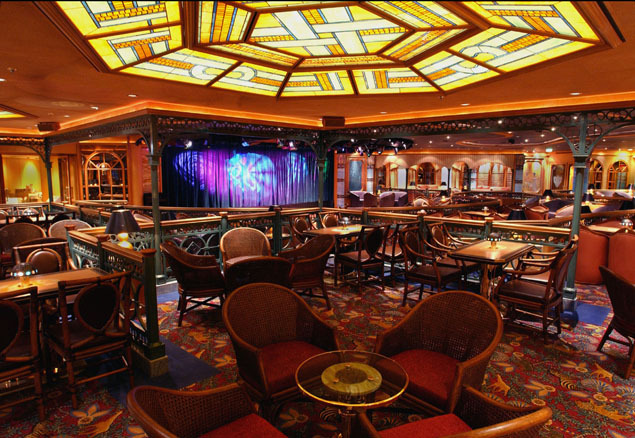 The adults-only deck sets this ship apart from the others, as does the poolside movie theater! For a romantic getaway to the Caribbean islands, the Crown Princess is the perfect escape! Book a cruise today! 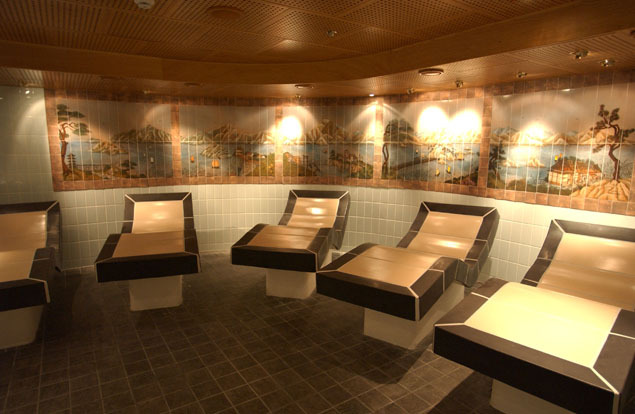 On Crown Princess, enjoy the amenities that Princess is known for! Take a look around, and you'll find yourself surrounded by opportunities for fun! The Lotus Spa® and fitness area has a gym, a jogging track, basketball court, shuffleboard and more! Enjoy a yoga class, practice your swing with one of the virtual golf simulators, or play a round of 9-holes on the Princess Links putting course! There's even a swim-against-the-current lap pool! 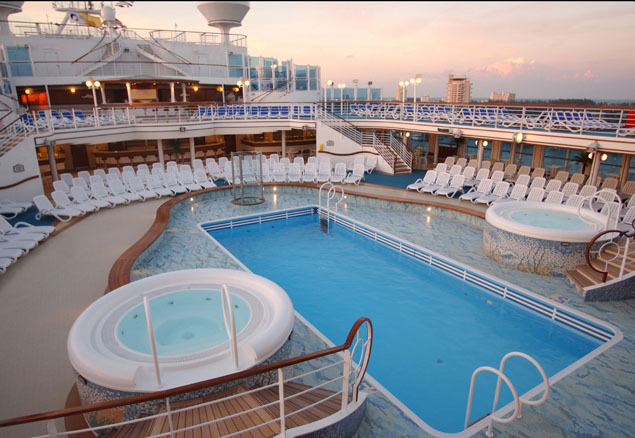 Speaking of pools, this ship has five pools - one is in the Sanctuary, and is adults-only! The Calypso Reef has two hot tubs as well as a pool, as does Neptune's Reef! The Lotus Spa also has two hot tubs! Finally, you can also enjoy the Terrace pool - just relax and take in the sun, dip your toes, or make a splash! Want to go shopping? The boutiques on board are all duty free and have designer clothing and other gifts! Enjoy the library, the art gallery and auction, and the seminars offered in the ScholarShip@Sea® program! The ship even has a wedding chapel! Crown Princess has a creative menu with selections that change every day - and every day is delicious! 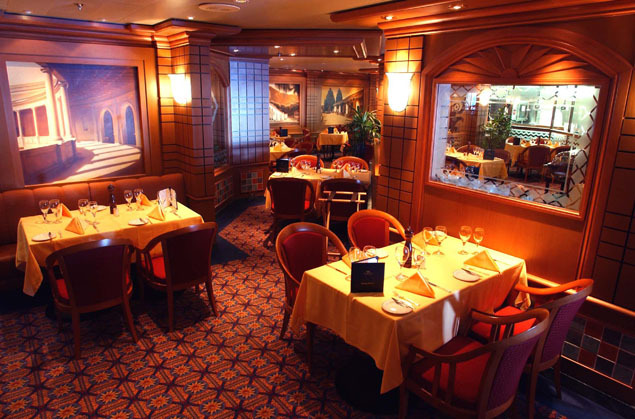 This ship offers traditional dining (where you eat at the same time and place each day) in the Botticelli Dining Room - and you'll receive attentive service from your own personal waiter! Anytime Dining offers you the choice of when and where you eat - head to the Michelangelo Dining Room or the Da Vinci Dining Room, and you can enjoy the chef's preparations at your whim! This ship even has specialty restaurants - you can enjoy the Ultimate Balcony Dining (your meal is served with a breathtaking view), or head for Italian food at Sabatini's! There's also the Crown Grill if you'd like to sample some surf and turf - you can enjoy the amazing steak and seafood served here! Finally, there are also casual dining options - including a pizza and ice cream bar, the Horizon Court Buffet and Bistro, the International Café (which is open 24 hours), the Café Caribe, and more! The Trident Grill has burgers and hot dogs, and Vines serves wine and seafood! You can even get afternoon tea! Don't forget the 24-hour room service, where you can have select items from the menu delivered to your stateroom at any time of day or night! Choose your pleasure on Crown Princess, where you can enjoy professionally choreographed shows, first-run movies, lounge acts, and more! Head over to the Princess Theater for a Broadway-style show, or a live comedy act! The Movies Under the Stars® outdoor theater shows your favorite movies, and you can try your luck at Gatsby's Casino! 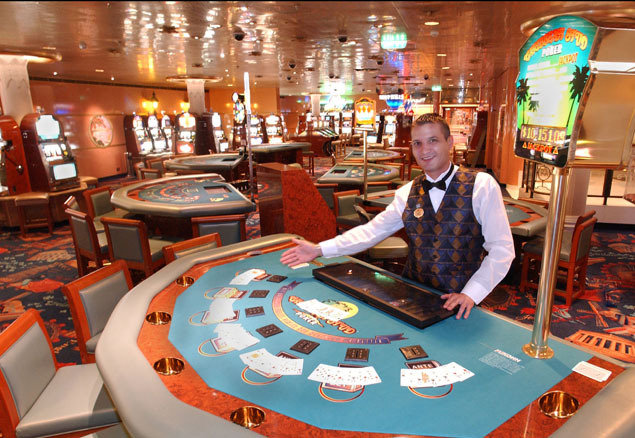 Slots, poker, and blackjack are just a few of the great casino games you can enjoy! The Skywalkers Nightclub will make you feel like you're dancing on thin air with its amazing view from 15 stories above the ocean! Explorers Lounge offers nightclub-style performances, and Club Fusion is another hot spot to stop by! 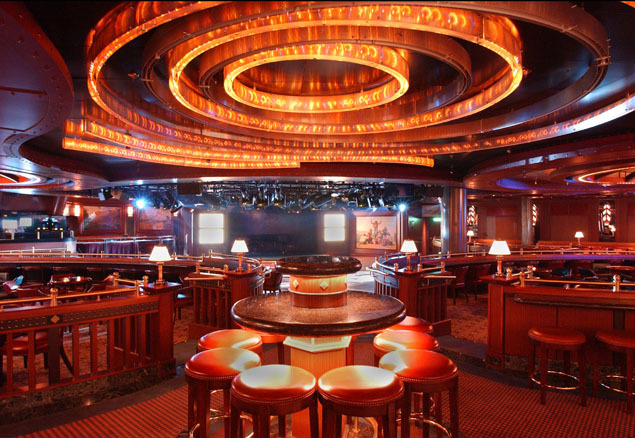 Cozy up in one of the lounges and bars and enjoy a great cocktail with that special someone, or with your friends - there's the Wheelhouse Bar, the Adagio Bar, the Crooners Bar, and the Speakeasy cigar lounge. No matter what your tastes, you'll find a way to enjoy the night!